1. How to track Canada post packages online? You can get Canada post tracking results in trackingmore.com. To get started, you may need enter your tracking number in the text box below. You can also try the official site canada post tracking tool. You can get the tracking results if you have one of the following: Tracking number, Delivery notice card, Reference number. 2. What is a Canada Post tracking number? 3. What does "ready for pick up" mean? Ready for pick up means your package has arrived at a post office and it is ready for pick up. When you go to the post office, you must bring your Goverment-issued photo ID and your delivery notice card(if you have one). You can also send someone to take your place. They will need to bring photo ID and the delivery notice card or a letter of authorization. 4. What does "Notice left" mean in track status? If the sender has requested the "card for pickup" option, the item must be picked up at a post office. 5. What does "Delivered as a safe drop" mean? The Canada Post attempt to deliver your package directly to you, but if you are not available to receive them, the post man will leave the package in a safe area at your place(a "safe drop"). So you don't need to go to a post office yourself to pick it up. Enter Hong Kong Post tracking number in the text box below, and click the track button, you can get the tracking results. 1. What is the Hong Kong post tracking number format? The tracking number usually ending with HK. If it is a EMS tracking number, the first letter will be E. For example: EE123456785HK is an Hong Kong EMS tracking number. 2. How to contact Hong Kong post? * Hongkong Post will not contact members of the public through this telephone number. A lot of people try to track China Post every day. When you type China Post Tracking in google, you can get 19.9 million results. So, which one is the best answer? I will compare several tracking sites, and help you to make the right choice. 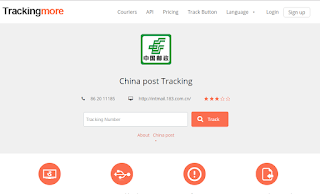 Trackingmore is a third-party tracking site, it is not the official site of China Post, but the truth is, you can actually get more tracking info from this site than other sites. Because, it provide the origin country info as well as the destination country info of the package. You can put a tracking number in the button above to test this site. 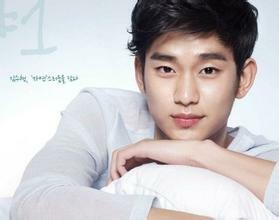 This site is designed for Chinese speaking users. They do not have a English-version, so it is not easy to use. But still useful in China. You can track your tracking number here, but the tracking info is in Chinese. So you still need the google translator. Solely owned by the state, China Post Group is a large-scale enterprise established in line with the Law of the People's Republic of China on Industrial Enterprises Owned by the Whole People. The main business scope of the Group includes: domestic and international mail delivery services, circulation of news papers, journals and books, stamp issuing, production and sale of philatelic collections, postal remittance services, confidential correspondence communication, postal financial services, postal express delivery and logistics services, e-business, a variety of postal agency businesses and other businesses as allowed by the state. note: China EMS is not the same with China post service. 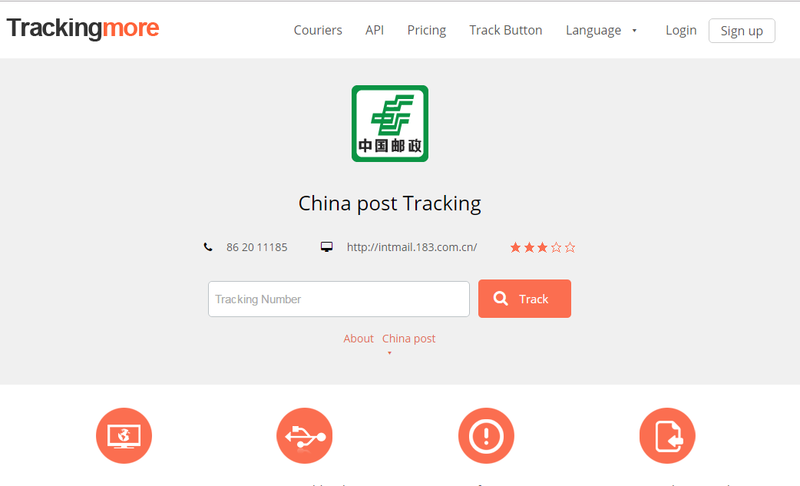 If your tracking number is begin with the letter "L"or"E", you need try another China EMS tracking site. A tracking number is an alpha-numeric number string assigned to an item for the purpose of tracking. It is very useful for knowing the location of time sensitive deliveries when the corresponding barcode of it is being scanned as an item moves from collection through to delivery. Many customers use the number to know the transportation process of their stuff. It is developed because it gives the detailed information about the time, route, and current status of the consignment and many people need this. There are many tools even provides both origin courier and destination courier info all in one place. For example, if you shipped a package from USA to China, you can enter USPS TRACKING instead of enter China post and USPS. This is very simple and time saving. The tracking number is essential to locate the exact position of your dispatched item. So when buying things online, please do not forget to ask the seller to give you one. There are seven kinds of statuses been defined by Trackingmore during the shipment transportation process, they are "Not Found", "Transit", "Out for Delivery", "Delivered", "Failed Attempt", "Exception" and "Expired". Those statuses are all judged by our system automatically according to the tracking details and are references to worldwide users. If you found that our system has any misjudgments, please contact us to improve and we will correct it and make our rules more perfect. So, what do all the statuses mean? Let me explain this to you. The status "Not Found" means your tracking info is not available currently. But you may track it after a while. This usually due to the following reasons. 1. The carrier hasn't accepted your package yet. 2. The carrier hasn't scanned and entered your package tracking info into its system yet. 3. Your tracking number is incorrect or invalid. 4. Your tracking number has been removed from carrier's system.